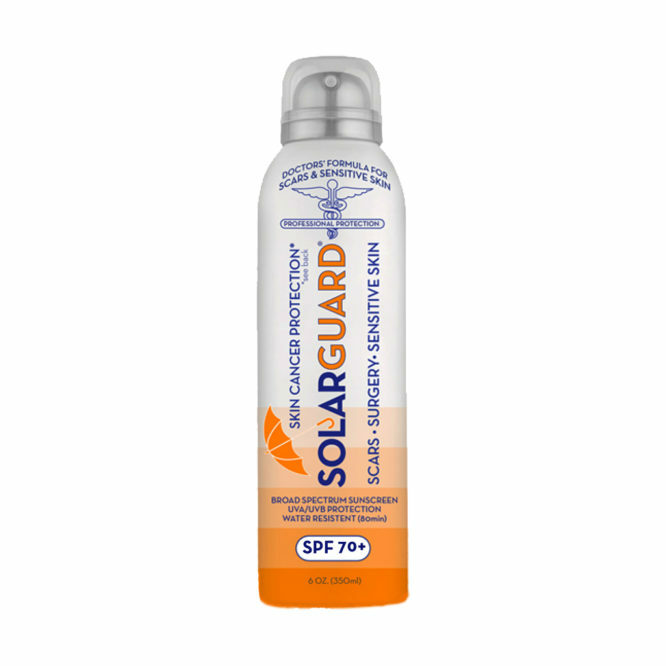 Spray-on clear sunscreen specially designed for use with scar treatment and on sensitive skin. 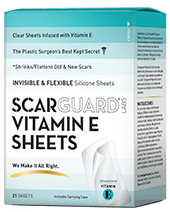 Doctors warn people that sun exposure after stitches, burns, injuries or surgery is very bad. 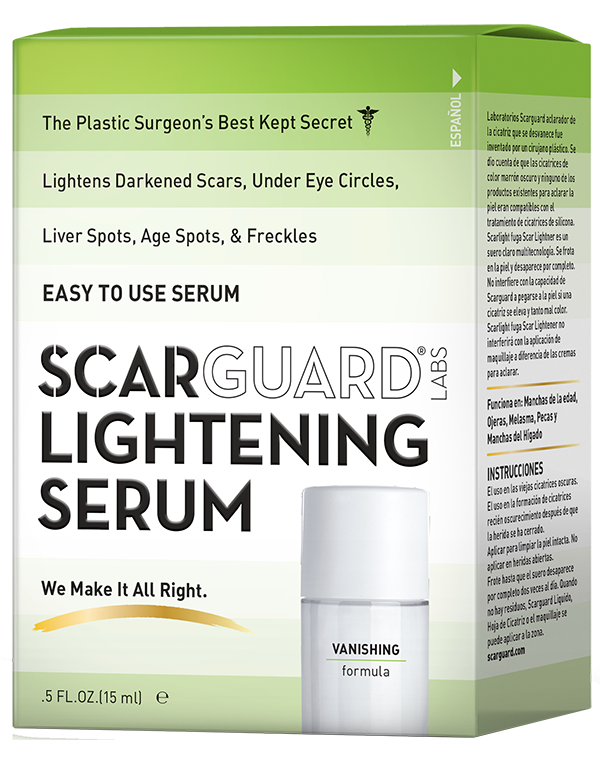 It can lead to permanent darkening of scars. Solarguard is a spray-on sunscreen that is specially formulated to be compatible with scar treatment products. 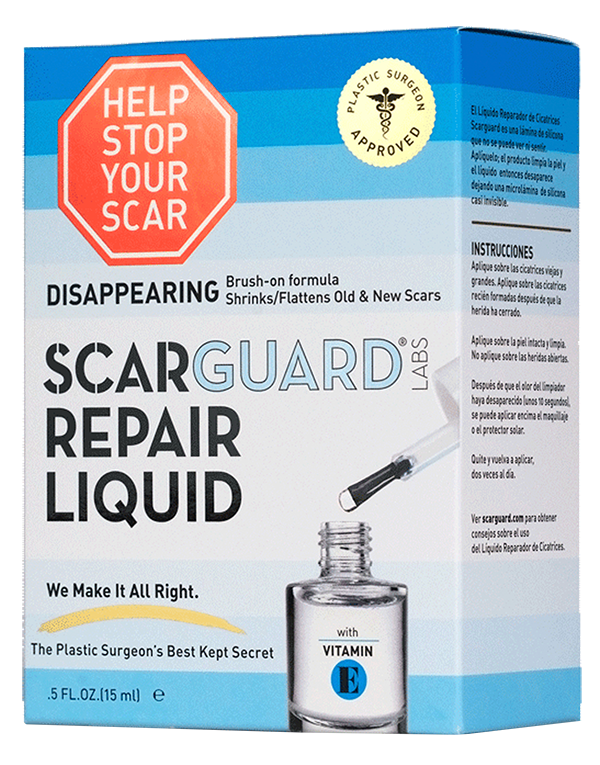 Using it during the first six months after an injury will help to promote a great looking scar. 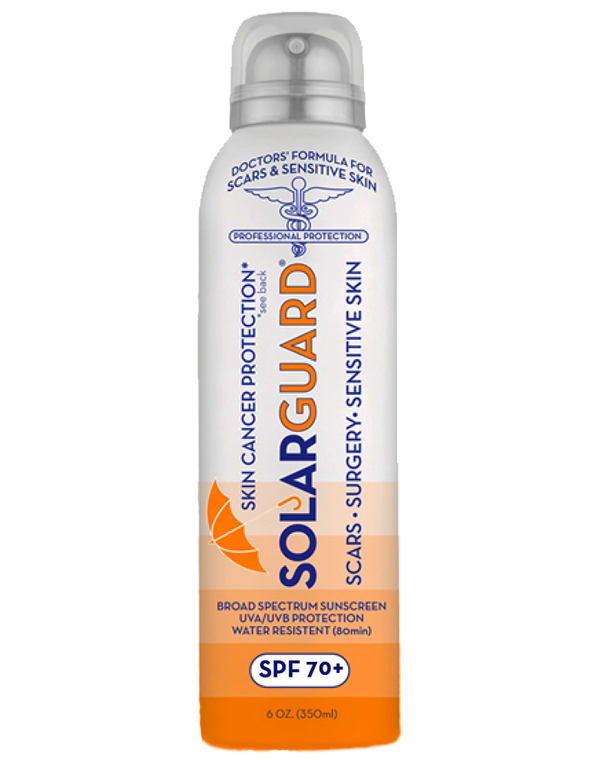 Used properly, (see directions) it can also help prevent skin cancer. 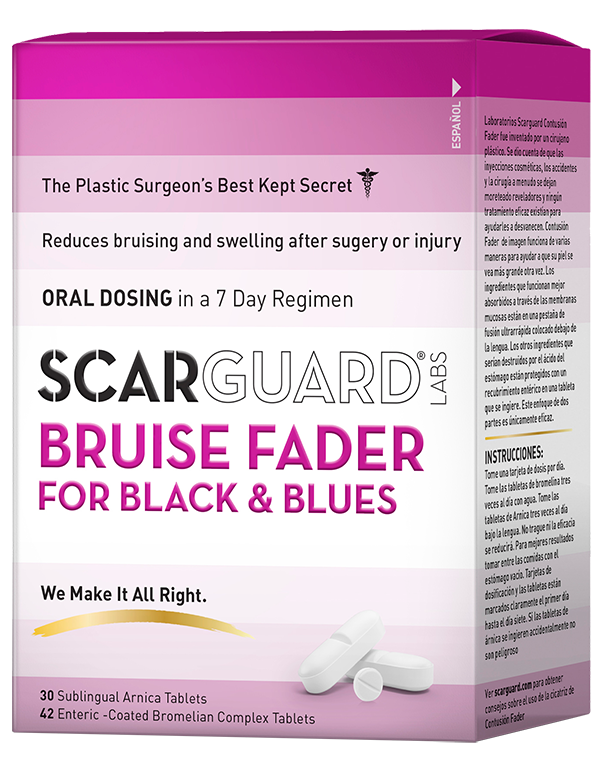 This product should be used year-round unless the injured and healing area is completely covered under clothing.